Texas Gov. Greg Abbott speaks during a dedication ceremony for the new South Texas College Regional Center for Public Safety Excellence building on Tuesday, Sept. 18, 2018, in Pharr. PHARR — Phase One of a massive $71.28 million masterplan to build the long-awaited STC Regional Center for Public Safety Excellence was inaugurated Tuesday afternoon with Gov. Greg Abbott present to celebrate the accomplishment. About 24 cadets in the police academy and close to 10 in the fire academy began their training this semester at the brand new 19,500-square-foot facility. This is considered the first phase of the overall project, which amounted to about $10 million. Other than traditional classrooms and study areas, the building includes shooting and driving simulation labs for both Customs and Border Protection and law enforcement students, and the only vehicle driving track for law enforcement and emergency vehicle training south of San Antonio. The new training center is open to state and federal law enforcement, public safety, criminal justice and fire science professionals and it’s slated to satisfy required training catering to these agencies in the region, with college-credit courses that allow cadets to pursue several associate degrees and certificates. So far these include associates in applied sciences and applied sciences in law enforcement, as well as basic firefighter and law enforcement certificates. High school students from Pharr-San Juan-Alamo school district are also taking college-level courses in criminal justice as part of dual-enrollment offerings toward an associate degree. The college used about $4.2 million in funding from a $159 bond issued in 2013. PSJA ISD contributed 10 acres of land valued at about $370,000 and $1 million in funding, the Department of Public Safety contributed $1.5 million, and the city of Pharr contributed 27 acres of land valued at $2.5 million. The DPS funds were mainly used for the emergency vehicle driving track and simulators, said STC President Shirley Reed, while the agreement with the school district was to provide four classrooms for dual-enrollment students. The $71 million overall construction plan and this first academic building sit on a 64 acres, but there are additional 180 acres available for future growth. Phase Two of the project includes construction of cityscapes for non-lethal simulation training, an emergency vehicle operations course and an indoor shooting range. Phase Three is slated for additional education and student services buildings as well as Integrated Homeland Security facilities. The concept was meant to be developed as a partnership, Reed said. Conversations with the former city administration began well before the 2013 bond was passed by voters, but it didn’t really come to fruition until 2017 when the three entities finalized the commitment with an official signing of a memorandum of understanding. The center is located at 3901 S. Cage Blvd., directly south of the PSJA Southwest Early College High School and it is STC’s sole presence in Pharr. The partnership was also appealing to the school district, said PSJA ISD Superintendent Daniel King, as criminal justice is not only a field highly popular among his students, but there is also high demand in the region for such skills. 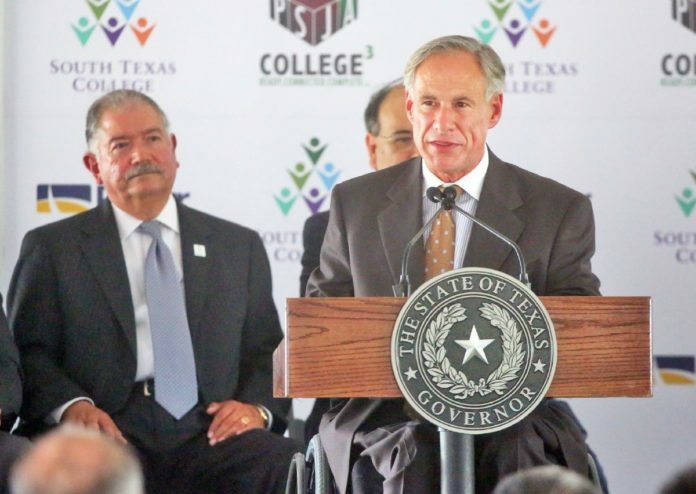 The value of having this training center right in their backyard is extremely high, he said, as well as the value of being able to offer training opportunities locally to the many agencies present along the border. STC Police Chief Paul Varville, will be overseeing the center as chief administrator, said the goal is to get feedback from area agencies on what courses and professional development they need in the area and offer as many academic credits leading to certificates and degrees as possible, including those required by the Texas Commission of Law Enforcement. Some of the first courses offered at the center include report writing, conducting an investigation, enhanced fingerprint techniques, forensics training and emergency vehicle operation. But Varville said the surveys have revealed many other needed courses and about 6,700 slots requested. All of these needs are in the process of being assessed, he said, to see how soon they can start offering appropriate training. STC Board Chair Paul Rodriguez said the hope is to mimic what they’ve done with other contracted services such as those at the Technology Center. There, area manufacturers voice the skills and certificates needed and the college works to develop appropriate courses that meet those needs. The next step toward the $71 million vision is to secure the funding to continue filling the already-available land. Reed said they are currently working on identifying potential grants and working with state and federal officials to secure the projects realization in about 10 years.